Are you doing your SEO link building right? Well, links are the backbone of your website. But not all links are created equal. Whilst right kind of links can enhance your online website reputation, the wrong kind of links can totally tank it. And it could take a long time to recover. 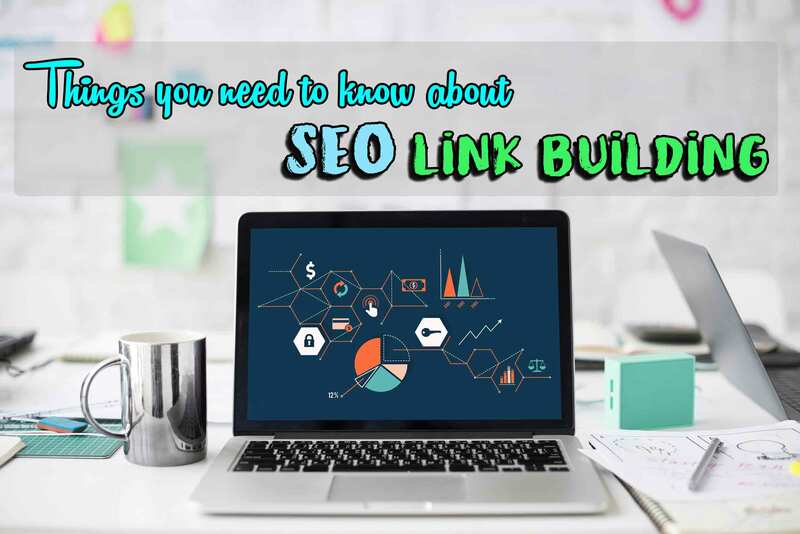 Well, in this article we’ll give you an idea of the things you need to know about SEO link building from start to finish. And by the end, you’ll be able to use some useful tips to create your own successful link building strategies that will drive traffic to your website. So, you could also boost leads and sales. Link building for SEO is getting links from other websites back to your own website. Links are one of the top SEO ranking factors, and Google uses them to gauge the authority and the relevance of your website for a particular search term. You might be asking how do you build links for SEO? Well, you don’t need to go rush just to buy some links. For it won’t help your SEO link building strategy. Anyway, there are two kinds of links that you may want to build. These include earned links which are links where external sources choose to cite you and the created links. Such created links are the links that you get in content or your bio when you have a guest blogging strategy. Now, How Important is the SEO Link Building? When you say authoritative link those are links that come from a site that is trusted by its audience, visitors and as well as by Google. That is because they regularly publish high-quality, well-researched and verifiable content that attracts inbound links from other high-quality websites. And it could be that people are likely to engage with the content. In contrast, as you have observed, low-quality links tend to come from sites that aren’t trustworthy. And may even be trying to manipulate their search ranking. Remember that links from low-quality websites can hurt your rankings. Better avoid it! You Might Be Wondering If What Are The Most Important Links for SEO? Actually, there are three types of links that are important for SEO link building. And these include internal links which are links on your website to your own content. Then we have outbound links which are links from your site to other sites. And lastly is the inbound links or also called as backlinks. These are the links from other sites back to your site. In addition, links could be categorised as Dofollow and Nofollow. Dofollow is normal links that pass link authority and SEO rank to the target websites. Whilst Nofollow has marked links with a bit of HTML code to indicate that the site owner doesn’t want to pass authority and rank to the target site. Here’s the thing, the purpose of link building for SEO is to have a balanced link profile including all types of links. And If You Want to Know What to Do Before You Build Links, Here’s the Thing! As what some expert SEO specialist advice, before you start building links to your website, you need to have a great content. Yes, you hear it right! That is because you don’t want people following links, then bouncing away quickly because they are disappointed. Therefore, you need to create a content digital marketing strategy. You may write a great headline to describe your content to search engines and appeal to searchers. Or you can also optimise keyword content so people can find it easily in search results. It also important to follow rules for great copywriting and use attractive images to illustrate your content. Images can be used for SEO link building too. Reviews are another way to build links from authoritative sources. Because reviewers tend to link to you. This is how it goes, if you have a new product or service, you may ask some online influencers to try it out and review it. At least a few do and liked it, then you’ll get links and new business too. First, look for a content related to the content you’re building links to. The easiest way to do this is by searching for recently published content. Then next would be finding the details for the website owner. After doing it, you may send an email outlining how your resource fits their content and ask them to consider linking to it. Highlight the value to them and their readers for best results. Wondering how would you get more backlinks to your website? Well, one option is to get a social media marketing shares. Though social media shares aren’t direct ranking factor, they can help your website indirectly. Well, this is how it works, the more your content is shared on social media, the more people will see it and link to it. This is how it explains why the highest-ranking content usually has more social shares. SEO link building is important since Google expert confirmed that links are the number one factor in ranking along with a great and validated content. Ranking without links could be hard. Although link building is definitely one of the most challenging aspects of SEO. It is also one of the most crucial if you want your website to rank highly in the SERPs. Develop great link building strategies for SEO that will help you build quality links to your website. Visit our blog section and learn more useful and helpful insight into your SEO needs. ALEPH IT has been serving various website owners for SEO services and other IT services. Call us today and let us see want we can do to improve your website rank performance. Also, you can’t expect much in SEO if you are missing the best SEO strategies in your optimisation works. Check them all out and see our article: 6 Best SEO Services That May be Is Missing from Your Campaign. This entry was posted in Aleph IT Services and tagged digital marketing perth, seo, seo experts, seo marketer, seo services, seo services perth, seo tips.